In times when there is increased focus on the impact that any business has on the environment, companies are under pressure to meet their clients’ requirements as well as achieve their own standards. 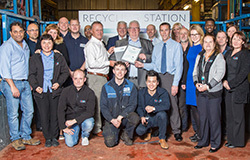 CPM is continually mindful of achieving new goals and has successfully completed the ISO 14001 accreditation. An Environment Management System based upon the ISO 14001 provides a framework for companies to control the environmental impact of its many activities, products and services along with visibility to continually improve its environmental performance. The ISO 14001 certification is a globally recognised sign of a business’ commitment to the preservation of the environment. 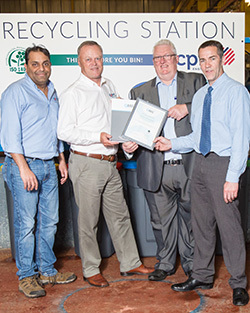 CPM takes pride in reducing the environmental impact we have on the world and in the successful acquisition of the ISO 14001 standard that dedication has been validated. In order to achieve certification we had to demonstrate a systematic approach to environmental management and show dedication to sustainable development. To ensure continuing dedication to the ISO 14001 standard, each year an external audit is carried out by a third party to guarantee that everything is still in place and any improvements needed are addressed. We believe that immediate and concerted action is the only in which we can collectively battle the global threats from environmental depredation and climate change. Committed to achieving high standards of quality and service at all times, our clients trust us to deliver cost effective and reliable repairs for all their motors, gearboxes and pumps providing repair, replacement, asset management and condition monitoring services combined to maximise performance, minimise downtime and reduce costs. Now, we extend this promise with the commitment to promote Sustainable Development and to ensure that this becomes the norm for the industry in the UK as rapidly as possible. If you would like to check the validity of our ISO 14001 certification or find out more about the ISO 14001 principles we follow please get in touch today on 0161 865 6161, we would be delighted to speak with you.